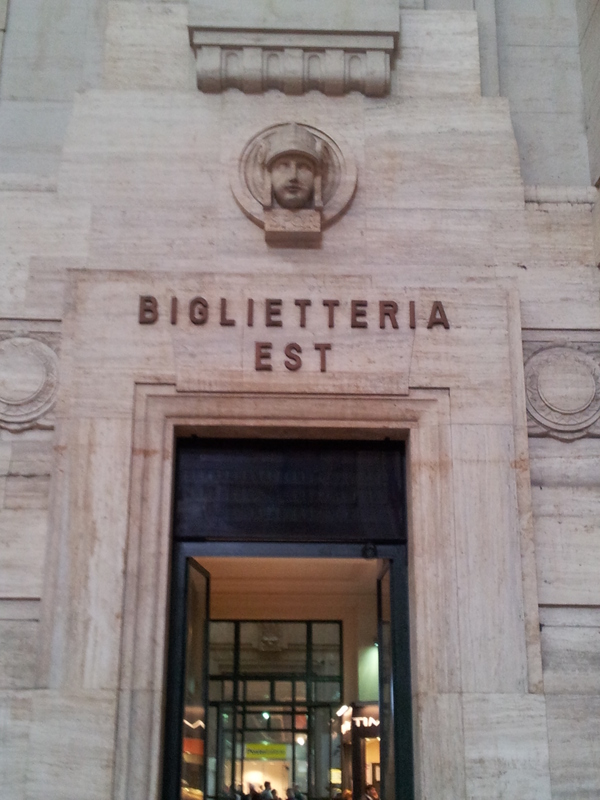 This local institution is the best place to come for traditional Milanese fare that I know of. It’s old school and atmospheric; popular with locals and tourists alike, and is the latest entry in my list of favourite restaurants of all time. I like the staff and the old school ambience but the food is just fantastic. I reserved a table for when they opened at 7.30 on a Tuesday fearing I wouldn’t get in. I needn’t have worried as there were only other two tables in by 8. However, everyone else arrived at 9 and there wasn’t an empty chair in the place. I’d imagine it’s still probably a good idea to book if you’re going at the weekend though. I’m usually pretty good at understanding Italian menus but this one defeated me, with lots of dishes and food words I’d not come across before, all local specialities. I started with Insalata di Nervetti (A), a tasty combination of onions, cannellini beans and veal cartilage, which was the best I’d ever tasted. Ok so it was only the second time I’ve ever had it (see Altri Tempi in Palermo) but it reinforced my opinion that you should try offal in good places like this as you may be pleasantly surprised. The second dish of Polpettine di Sanato con Porcini (A), veal meatballs in boletus mushroom sauce with roast rosemary potatoes on the side (B+) was also excellent. The half litre of Barbera d’Alba, one of the best house wines I’ve ever had, went with the food sublimely. With good legs and a great nose, it was a real bargain at only €7. The only let down was the dessert, a slice of Meneghina cake with ice cream and Grand Marnier. I found it quite tasteless (C) which my reinforced my belief that puddings are one area where British cuisine excels that of the Italians (controversial I know). I was cheered though by the five-year-old house grappa that I had with it, both glasses courtesy of the kindly waiter. The bill came to a very reasonable €39. I left the place purring, and resolving to come back as soon as possible. 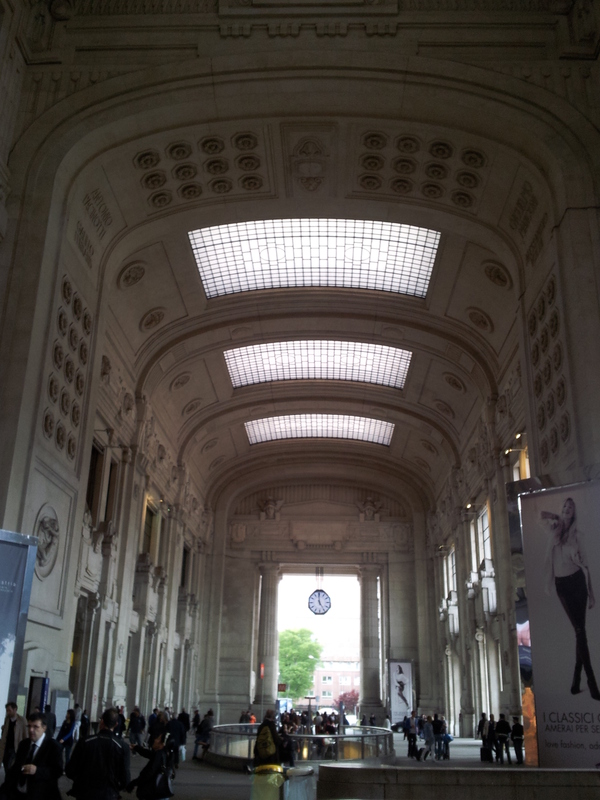 After a gentle promenade along the canal I hopped on the metro back to the hotel and slept like a baby for eight hours, which is very unlike me. Such is the power of good food and drink. 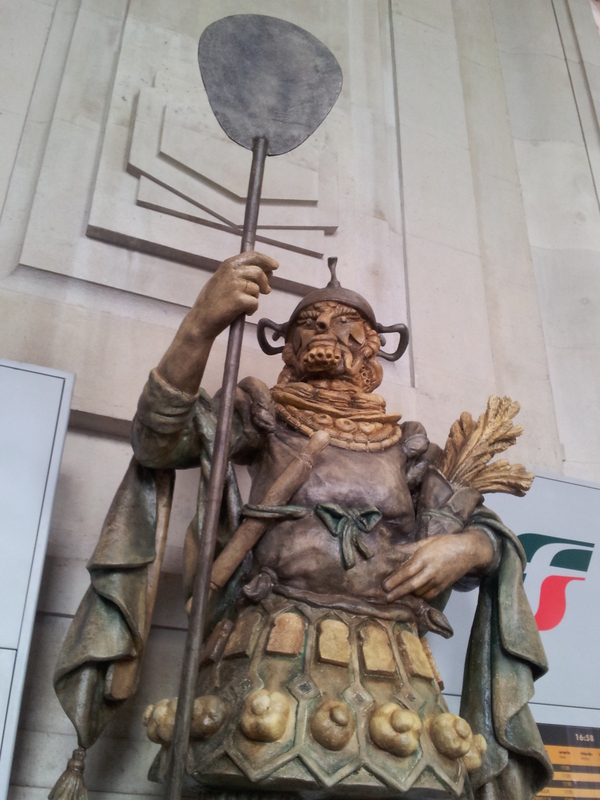 Trattoria Milanese is unmissable as far as I’m concerned. Work used to put us up in a hotel near Porta Venezia (see separate post) but this year we were at the Hotel NH Verdi in Gioia. The exterior is rather grim but the receptionists are great, the rooms spacious and the breakfast not bad. There’s also a small gym but I preferred running in the nearby Parco Sempione which contains the beautiful Castle Sforzesco. You should get a good view of the Unicredit Tower from your bedroom window. 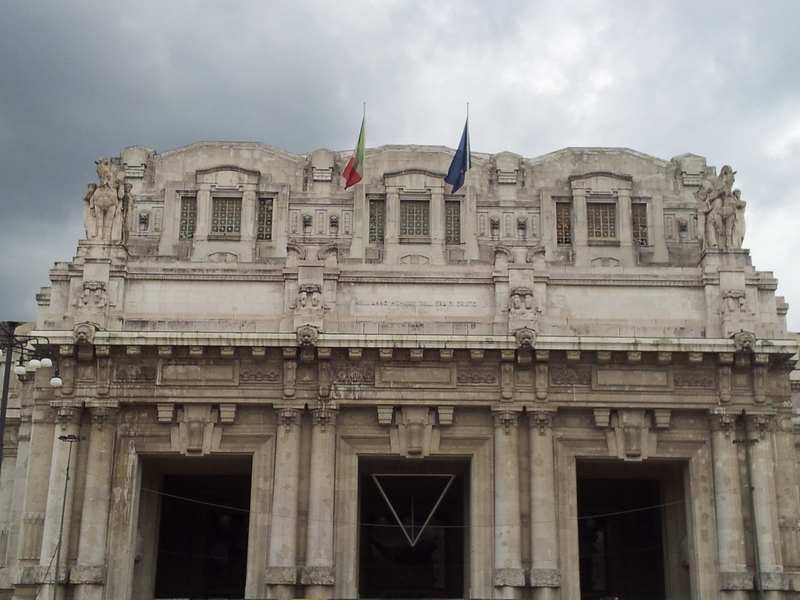 The hotel is also very near this spectacular development at Porta Nuova. 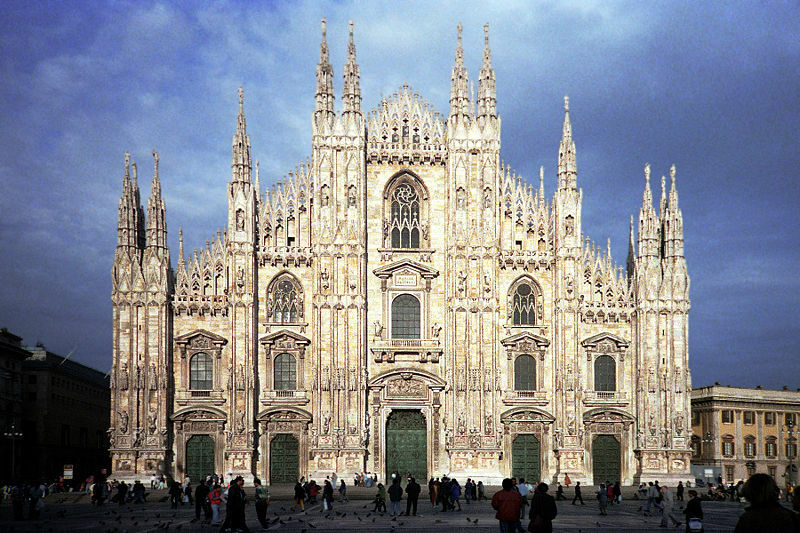 The hotel is very near Corso Como and its continuation Corso Garibaldi, both of which are lined with bars and restaurants, so plenty of choice to suit all tastes. For my work colleagues an easy option for food would be the Cinghale Rosso at 6 Viale Monte Grappa, on the same block as the hotel, down a side street. Although I didn’t have time to go myself, I’m told the menu looks very interesting and the owner was flexible enough to do smaller portions so more dishes could be sampled. Personally though I was more interested in trying this high end place recommended by the New York Times who are usually quite adept at nosing out the good stuff. This formal place ain’t cheap; the four of us spent €200 of which €64 was down to me. The others were a bit disappointed with their first course of asparagus but happier with their seconds (fusilli in tomato sauce and risotto with minced beef wrapped in cabbage leaves. I was over the moon with both my choices though. 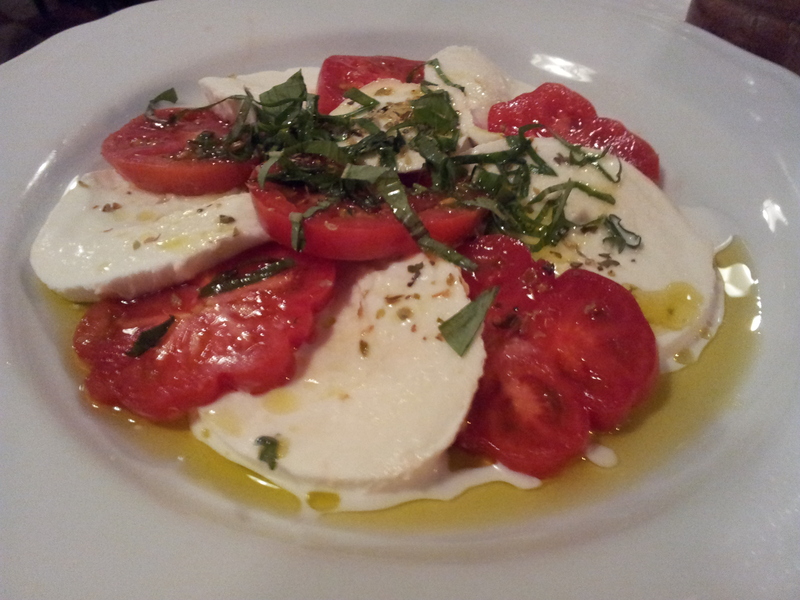 I started off with an Insalata Caprese, made from creamy mozzarella and fantastic fully flavoured tomatoes (A). 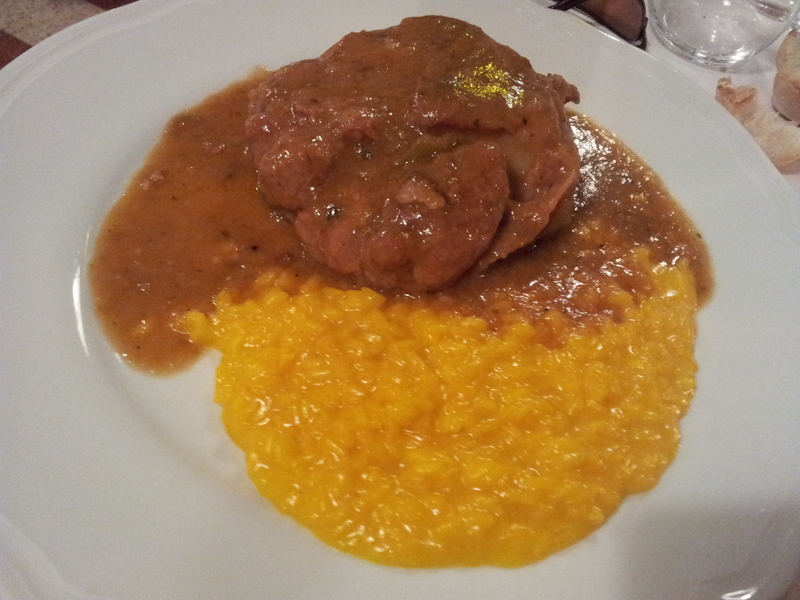 I decided this was the place to try the local classic Ossobucco, a cut of oxtail with flaking tender meat falling of a vertebrae containing gelatinous marrow, cooked in a tasty sauce with a big helping of golden Risotto Milanese on the same plate. It cost €34 but was worth every penny for me. It was great (A+) but very filling and there was no chance of fitting in a dessert in afterwards. 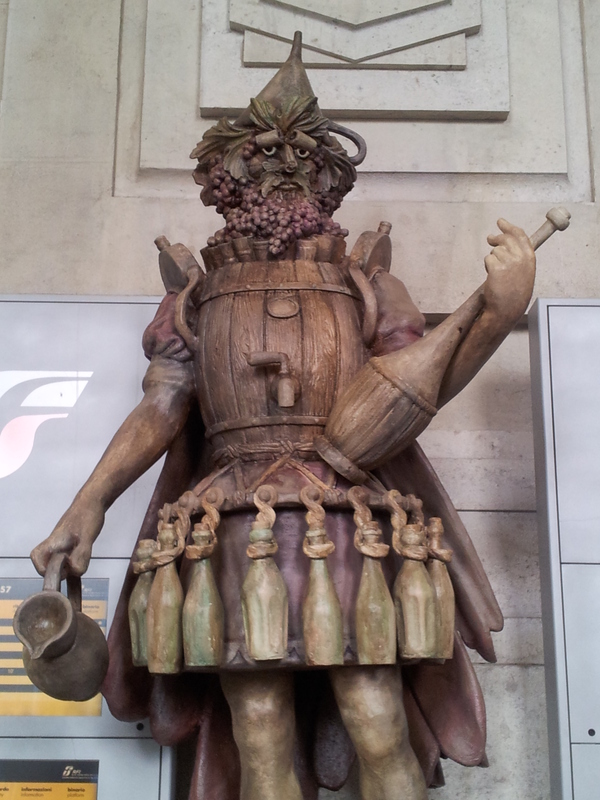 We shared two bottles of house wine (no carafes here), with white following by red. 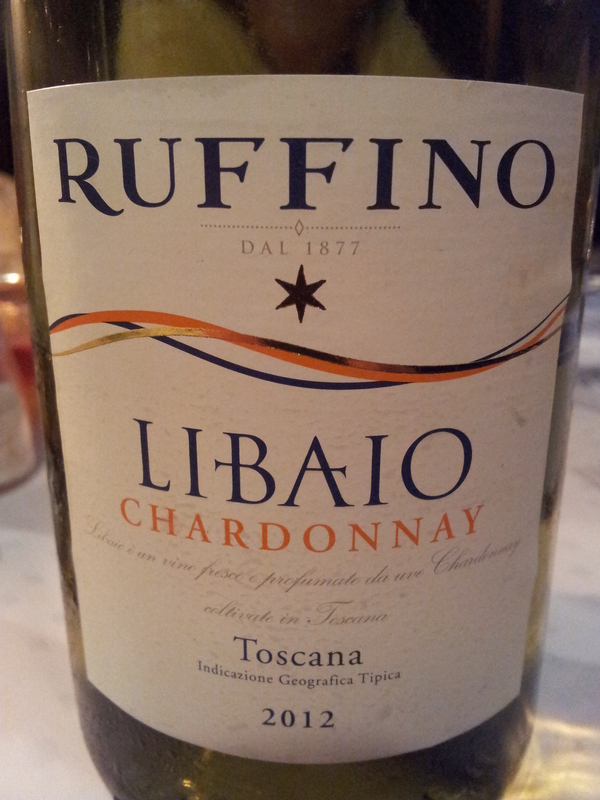 The first was a refreshingly subtle Tuscan Chardonnay (Ruffino – Libaio 2012). 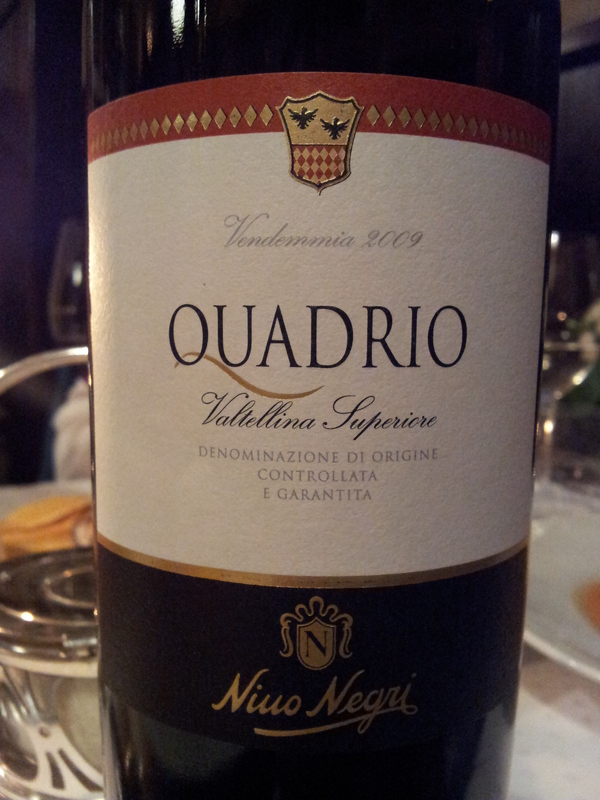 The second a red called Quadrio from Vendemmia made by Niuo Negri. Both were €20 each and scored highly (B+). Besides the size of the bill, the only other downside was our waiter who was rather snooty, hence the minus in my rating. He did his job though and the decor and general ambience of the place (lace curtains, wood burning stove) made up for his sour puss. Although there are doubtless lots of cheaper places around, I’d still come again for the Ossobucco which I doubt gets any better than here. There are lots of good shops in the area too (Corso Como is another fashion hub outside the centre), including one of my all time favourites for home wares, High Tech at 12 Piazza XXV Aprile. 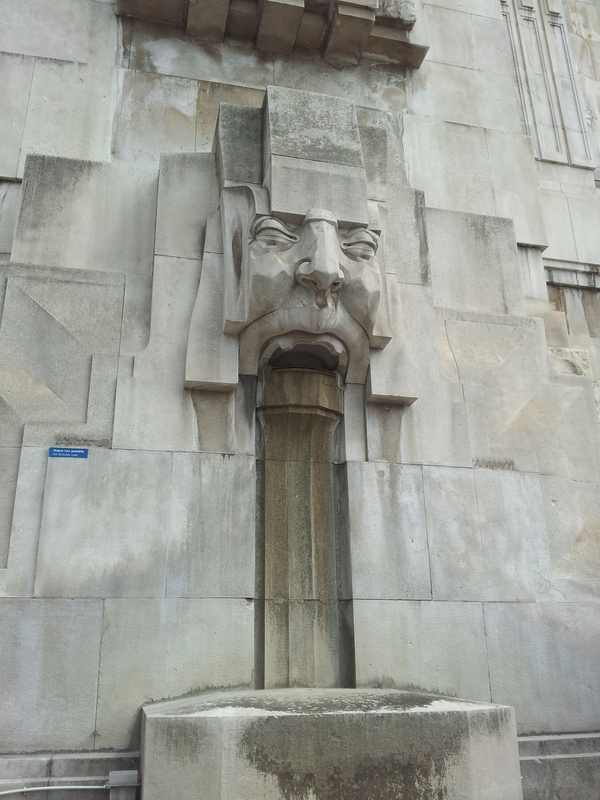 It’s a little hard to find as it’s not visible from the street. From the main square you have to go through an arch into another little square and you will see the shop in front of you. The building is a labyrinth of rooms (it was once a former ink plant for a local newspaper) that contain everything imaginable for the modern home, especially kitchenware. Just when you think you’ve seen everything, a small door in the corner will take you off to a new floor and several more antechambers, each dedicated to a different room in the house. You need at least a couple of hours to get round it, and plenty of room in your suitcase. 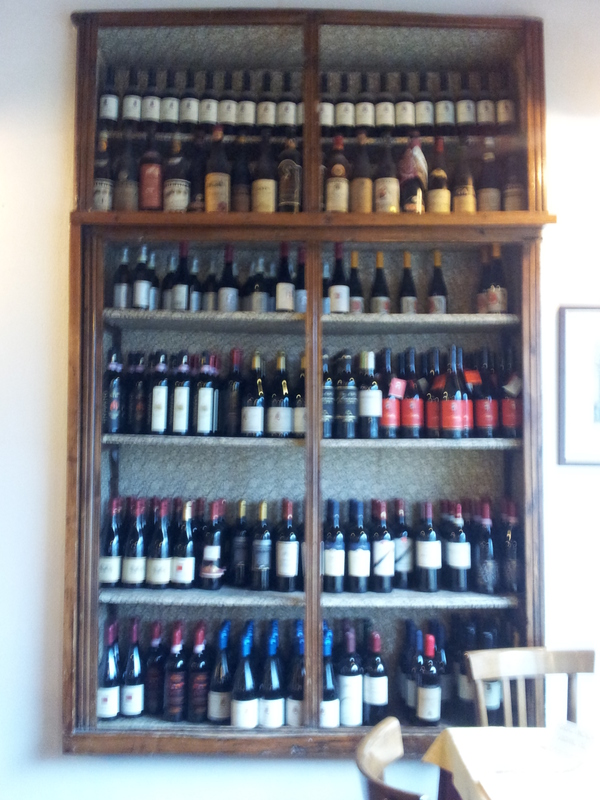 A fantastic enoteca is Cotti at 42 Via Solferino, which has a huge selection of wines and spirits. It’s a fun experience in itself just to come here to see the displays.